Mesh: A mesh, cotton blend, or other lighter material shoe or boot will provide better air circulation. This will keep your feet cooler on hot summer days. In all likelihood, it will not be waterproof or the warmest footwear option in the early fall or spring when temperatures are low. The boot itself will generally be light weight and can offer varying degrees of safety and features. In the event of a crash, mesh and textile materials do not present the greatest degree of safety. Leather: A solid, or part leather shoe or boot provides an abrasive shell that can withstand being dragged across far more asphalt than its mesh or textile competition. There’s a reason racers are in full leather suits and leather boots. They may be warmer in the summer, but they’ll also be warmer in cooler weather seasons. 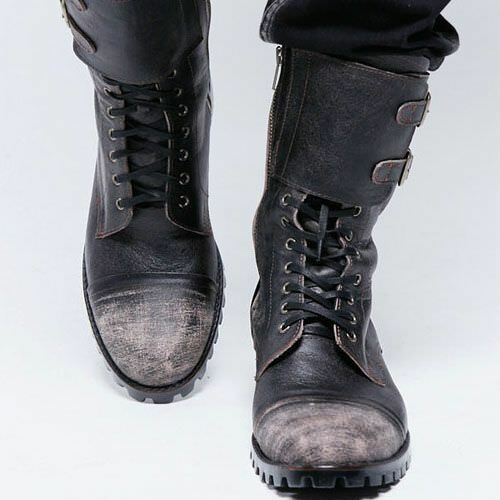 The boots can come in varying weights and can offer varying degrees of safety and features. 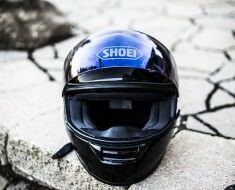 In the event of a crash your leather motorcycle boot or motorcycle shoe will hold up. Can be treated to be waterproof to varying degrees of success. Gore-Tex: Gore-Tex is a waterproof, breathable material. Gore-Tex materials contain over 9 billion microscopic pores per square inch. The idea is to create the right degree of seal so small that a water droplet is too larget to seep through, but still large enough that water vapor is able to escape. In other words, moisture in vapour form escapes, but liquids can’t enter. They’ve made a science of this to the point of including an oleophobic substance to eliminate oils and other substances from damaging the Gore-Tex membrane. There are many different forms of Gore-Tex boots out there, but all are waterproof, windproof, but still breathable. Weights and safety vary by shoe/boot model. 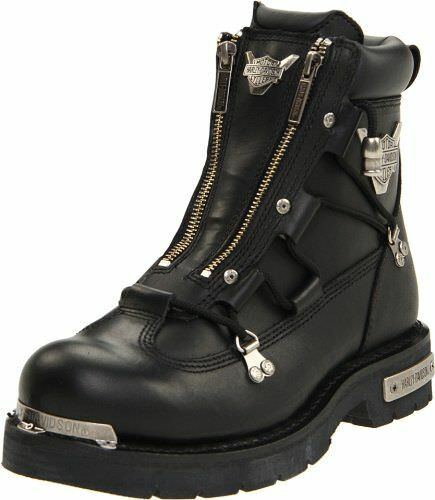 Adjustments: Many motorcycle shoes and boots contain more than just shoelaces. Some use straps, and have other degree of adjustment, designed to allow you to find just the right fit. Some are even designed for an easy and quick on-and-off with well thought out lace closure systems or even Velcro. Be keenly aware of the location of zippers. If there’s a zipper in an area which would be exposed to the rode in the event of a crash, would that back part of the zipper be touching your body or is there sufficient protection to keep you safe? It’s generally best to avoid zippers exposed to the road. Visiblity: Many motorcycle shoes and boots come with highly visible colors or simply highly reflective surfaces or trims such as those made by 3M Scotchlite. This may or may not appeal to the fashionista in you, but being seen will make you safer. 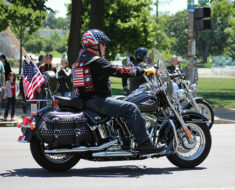 Protection: Safety in a motorcycle boot can come in a variety of ways. 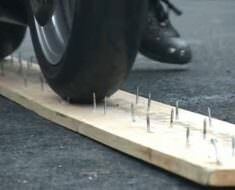 Well designed boots on the more expensive side of the scale will use polyurethane and other similar substances in a variety of key locations such as the shin, ankle, calf, toe and heel. More expensive motorcycle boots will also have features such quick drying polyamide lining with open cell foam and padding. This layer further absorbs shock and reduces impact to the rider’s body. Other boots will simply offer padding in key places mentioned above, some more than others. 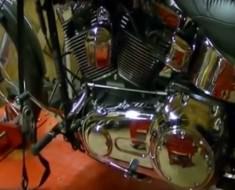 Many motorcycle “shoes” offer none of the above but simply a tab over the shifter toe to avoid scuffing the shoe. 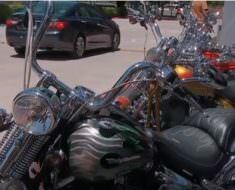 CE Approved Armour: Some motorcycle gear will be CE Certified. This means that it Conforms with the European standard for equipment. It is a mandatory conformity benchmark for manufacturers looking to sell motorcycle equipment to hundreds of millions of European riders. For North Americans and Australians, the CE approval is not mandatory on our gear, but if we see it on a protect we can rest assured that the product has been tested and meets the standard. Now that you know what to look for and what’s available, all you need to do is determine your needs. This much is up to you to decide. What will you be needing this boot or shoe for? What kind of use will it be receiving? How much use will be receiving? Can I get by with one pair? All that’s left to do is shop around at your local motorcycle dealerships and stores and see what looks right, fits right, and offers you what you need! 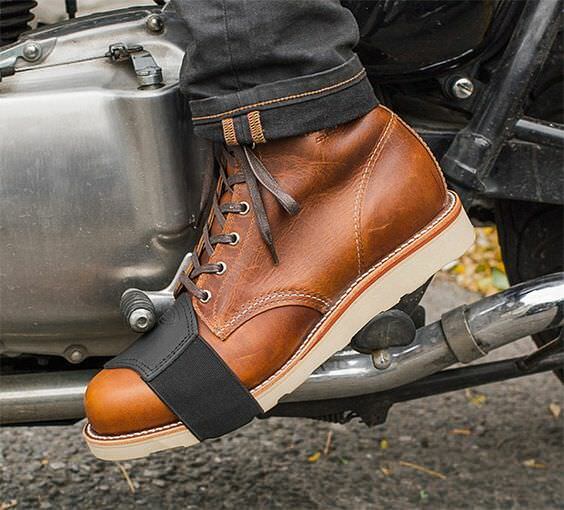 What kind of motorcycle shoes or boots are you riding in? Leave a comment below! 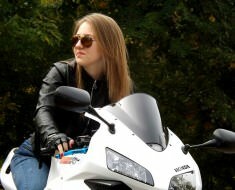 Next Next post: Biker T-Shirt – Super Discount, Limited Offer!